A new novel from Paulo Coelho, author of The Alchemist. A stranger arrives in the small mountain village. He carries with him a backpack containing a notebook and eleven gold bars. Burying these in the vicinity, the stranger strikes up a curious friendship with a young woman from the village – Miss Prym. His mission is to discover whether human beings are essentially good or evil. In this stunning new novel, Paulo Coelho’s unusual protagonist sets the town a moral challenge from which they may never recover. 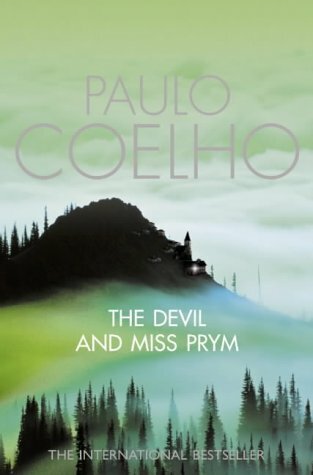 A fascinating meditation on the human soul, The Devil and Miss Prym illuminates the reality of good and evil within us all, and our uniquely human capacity to choose between them. The Devil and Miss Prym is the conclusion to the trilogy And on the Seventh Day which began with By the River Piedra, I Sat Down and Wept and the hugely popular Veronika Decides to Die. Each of the three books focuses on a week in the life of ordinary people faced with a major life-changing force; be it love, death or power, it is Coelho's firm belief that "the profoundest changes take place within a very reduced time frame". The Devil and Miss Prym sees a stranger arriving in the remote mountain village of Viscos carrying with him a notebook and 11 bars of gold. The first person to strike up conversation with the stranger is the inappropriately named Miss Prym, the hotel barmaid. Unbeknownst to her, Chantal Prym is exactly the subject the man had been hoping to find. The stranger puts a proposition to Chantal and with it gives her the power to prove or disprove a supposition that has tormented him for years--"Given the right set of circumstances every human being on this earth would be willing to commit evil". Should Chantal prove him right, all her dreams of escape to a new life would come true, but proving the stranger right would mean casting aside her deeply ingrained beliefs about right and wrong. So ensues a moral dilemma and a spiritual struggle between good and evil that will impact on everyone in the village.